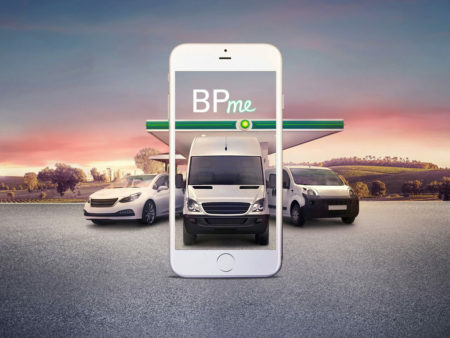 BP’s fuel payment app BPme now accepts fuel card payments, which the firm says saves time for both fleet managers and drivers, as well as a host of other benefits. The BPme app is designed to save customers time and reduce the reliance on plastic fuel cards. Early adopters of the service have claimed to save between 3-5 minutes at the forecourt, BP added. This is particularly significant for the fleet market, where fuel card use can lead to fuel fraud and wasted time at the forecourt. In addition, the app is said to lead to greater accuracy in reporting fuel and mileage to fleet managers, as mileage is entered while at the pump and sat in the car. Today, BP has 500,000 fuel cards in operation that are produced in Germany. The company says that it takes approximately ten days for a new fuel card to be issued to customers, whereas the BPme app enables fleet managers to get their drivers on the road and using the company account to purchase fuel as quickly as within a day. Fleet managers need only give an employee a “T-pin” (authorisation code) rather than wait for a fuel card to turn up. The app works in three simple steps. First, a driver pulls up to a pump at any of the 1,200 UK sites. Second, they open the app and fill in a few criteria, such as which pump they’re at and if using a fuel card, what mileage the car has on the odometer. The app then authorises the pump to operate, and alerts the driver that the pump is ready for use. Thirdly, the customer fills their vehicle to the desired amount and drives away. Upon completion of filling up, customers are sent an email with full receipt information that can be used for expense accounts. Pumps can also be found using the app, which integrates with the user’s mobile phone mapping system to provide directions. BP hinted that this may be expanded to certain Android-based telematics devices that could run the app and be integrated with the on-board systems to automatically record mileage and the vehicle’s unique identifier. Filters can also be applied to the pump/map search, such as forecourts with pumped AdBlue, or specific fuels. The app requires a compatible Apple or Android powered mobile phone and a 3G data signal, which BP says will be rolled out to all of its 1,200 sites (bar three that have no signal). Further expansion plans are underway, with the service having already been rolled out in Australia and New Zealand, while certain European countries will follow towards the end of 2018 and throughout 2019, which should prove of significant benefit for cross-border fleet travellers. And, following the acquisition of Chargemaster in the UK, BP is looking at rolling out the app to include payment of its rebranded ‘BP Chargemaster’ network of electric vehicle charging points. Additionally, BP plans to expand the service to accommodate other services, such as buying a coffee from its Wild Bean cafés using the app. Payment can be done using Apple Pay, PayPal or another credit/debit card, rather than the company fuel card. This is already proving popular in New Zealand where the service was first trialled and now accounts for 4% of all Wild Bean coffee sales. At present, the BPme app is only available for cars and commercial vehicles, while motorbikes are excluded due to rules relating to the use of a mobile phone at a forecourt outside of a vehicle.